The Antelope Valley has cold winters an it can affect your car battery. Extreme temperatures in either direction can lead to corrosion on its terminals. Car battery protection service helps keep your car battery corrosion-free throughout every season. One to a customer. One per transaction. Not valid with any other coupons or specials. Volkswagen vehicles only. 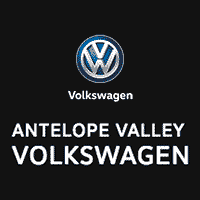 Good only at Antelope Valley Volkswagen Service Center. Must present coupon at time of write-up. Expires 2-28-19. EFI Service is designed to prevent deposit build-up in the fuel system, including the fuel injectors, intake valves and combustion chambers. By preventing buildup of harmful deposits, this product helps avoid problems such as stalling, hesitation, power loss and restricted fuel flow can be used with leaded or unleaded fuel, and it will not harm catalytic converters or oxygen sensors. • Protects – will not cause harm to catalytic engines running cleanly to operate more efficiently. converters or fuel systems. • Versatile – Can be used in leaded or unleaded fuel. clean engines maximize fuel efficiency. • Recommended every 15,000 miles as part of your regular preventive maintenance. TOUAREG, EURO VANS AND W8S ADDITIONAL. One to a customer. One per transaction. Not valid with any other coupons or specials. Volkswagen vehicles only. Good only at Antelope Valley Volkswagen Service Center. Must present coupon at time of write-up. Expires 2-28-19. Cabin air filters are designed to clean the air before you and your passengers breathe it in, But when your cabin air filter becomes dirty, it can quickly lead to respiratory irritation, discomfort, and lowered energy efficiency. Heating and air conditioning systems are more efficient when paired with a clean cabin filter, which improves air flow. Allergy sufferers may see a reduction in their symptoms while driving. Drivers and passengers with respiratory issues will enjoy a more comfortable ride in your car. Foul or odd smells can be filtered out effectively. Your vehicle’s cabin air filter removes those pollutants as well as natural allergens, such as dust and pollen, from the air you breathe when you drive. This service will protect the cooling system and prevent damage to vital engine components by helping keep the engine at just the right temperature. Transmission fluid lubricates, cools and cleans internal transmission parts. Additives in the fluid can deplete over time and Volkswagen recommends that it be replaced periodically. Replacing your transmission fluid and filter helps preserve the life of the transmission and helps maintain your Volkswagen warranty. Excludes DSG automatic transmission. One to a customer. One per transaction. Not valid with any other coupons or specials. Volkswagen vehicles only. Good only at Antelope Valley Volkswagen Service Center. Must present coupon at time of write-up. Expires 2-28-19.